This Contribute post was provided by Sheila McAlister, C.A., Director of the Digital Library of Georgia, University of Georgia Libraries. A division of GALILEO, Georgia’s virtual library, and housed at The University of Georgia Libraries, the Digital Library of Georgia (DLG) is the state’s cultural heritage digitization initiative. 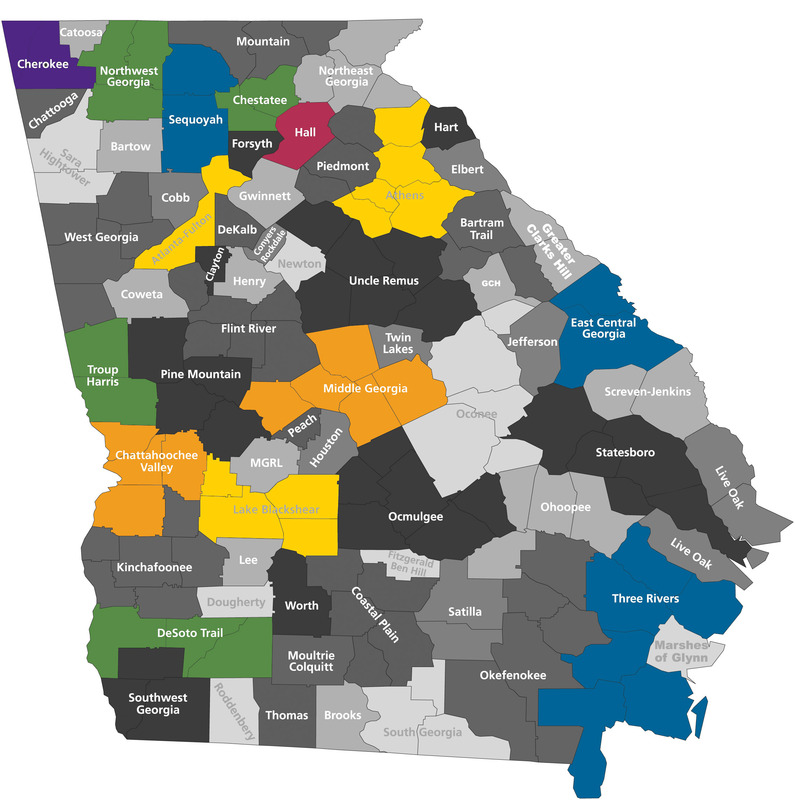 Active since 1996, DLG partners with libraries, archives, and museums to facilitate online access to resources about Georgia’s history, culture, and life. In addition to its Georgia portal, the DLG also hosts the IMLS-funded Civil Rights Digital Library and ASERL’s Civil War in the American South. In 2013, DLG became one of the first six service hubs for the Digital Public Library of America. Collections from fourteen public library systems were digitized through Georgia HomePLACE prior to 2013. Since 2003, the DLG has partnered with the Georgia Public Library Service through the Georgia HomePLACE (Providing Library and Archives Collections Electronically) project. The collaboration has digitized primary source collections related to local history and genealogy of particular interest to public library patrons. The project has taken a two-pronged approach—digitizing content of state-wide impact such as over 500,000 pages of historic newspapers, the Vanishing Georgia Collection, Georgia Sanborn maps, and collections located in Georgia’s public libraries such as Ships for Victory: J.A. Jones Construction Company & Liberty Ships in Brunswick, Georgia, “Thar’s Gold in Them Thar Hills”: Gold and Gold Mining in Georgia, 1830s-1940s, and The Blues, Black Vaudeville and the Silver Screen, 1912-1930s: Selections from the Records of Macon’s Douglass Theatre. Digitization decisions are guided by the DLG’s collection development policy and the results of two surveys of Georgia public libraries, one in 2003 and the second in 2014.
writing for the web and best practices for online exhibit curation. Photograph of Contractor Accessing Flood Damage at Wastewater Treatment Pond, Byron, Peach County, Georgia, 1994 July 8, Peach Public Libraries. After the workshops ended, DLG staff visited with the public libraries to select materials for digitization. New collections will be available online through DLG as a result of that collaboration: these include scrapbooks documenting an early African American Boy Scout troop in Atlanta, photographs of the 1994 flood in Peach County, Georgia caused by tropical Storm Alberto, and images and memorabilia from the State Normal School in Athens. Participation in PLPP has helped promote existing relationships with public librarians established through Georgia HomePLACE and strengthened our partnership with Georgia Public Library Service and their network of library constituents.